At just over one year old, Olive was surrendered to a shelter. She is a big, lanky gal—gorgeous, smart, sweet, curious and energetic. 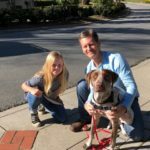 Her first-time foster family found her endlessly entertaining, as she introduced them to the art of counter surfing and taught them to ‘fetch’ all the tennis balls she would roll out of reach under appliances. Olive is going to a Wine Country home with acres to roam, kids to play with, and a dad who has a home office and also plans to take her with him in the truck as he drives around doing vineyard consulting. 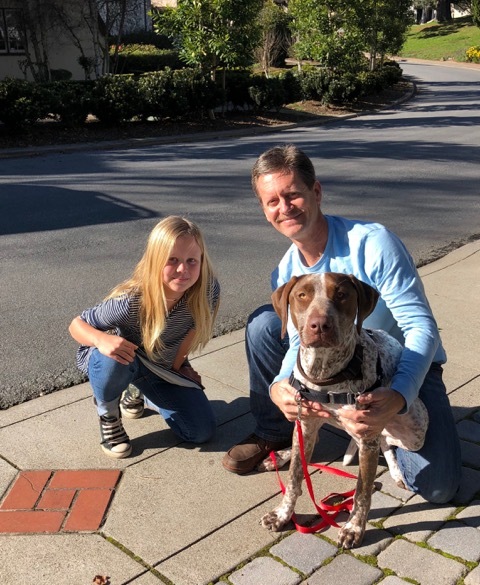 Thank you Eric and Tim and Noah for caring for Olive until she found her perfect forever home.